I’m currently being battered by Storm Katie on the Cornish coast. I’m cowering inside a caravan and my friend went home today so I’m scared and alone with my wild imagination, great combination. I’ve never experienced a storm like this, I mean heart pounding stuff, not my usual exaggerations. I’m half expecting to be a news story in the morning. The caravan is shaking as if it were about to take off like the house in the Wizard of Oz and the noise, sounds like a train coming full speed towards me. Adding to this a massive spider has taken up residence in the corner and keeps moving in my eyeline. I suppose we have in common that neither of us are enjoying this storm so perhaps we are on the same team for tonight and at least it’s some company. There’s never a phone signal here, there’s only one other caravan occupied and the 5 chalets are right down the hill, out of sight and too far for their lights to provide a little comfort. It’s pitch black when I look out. 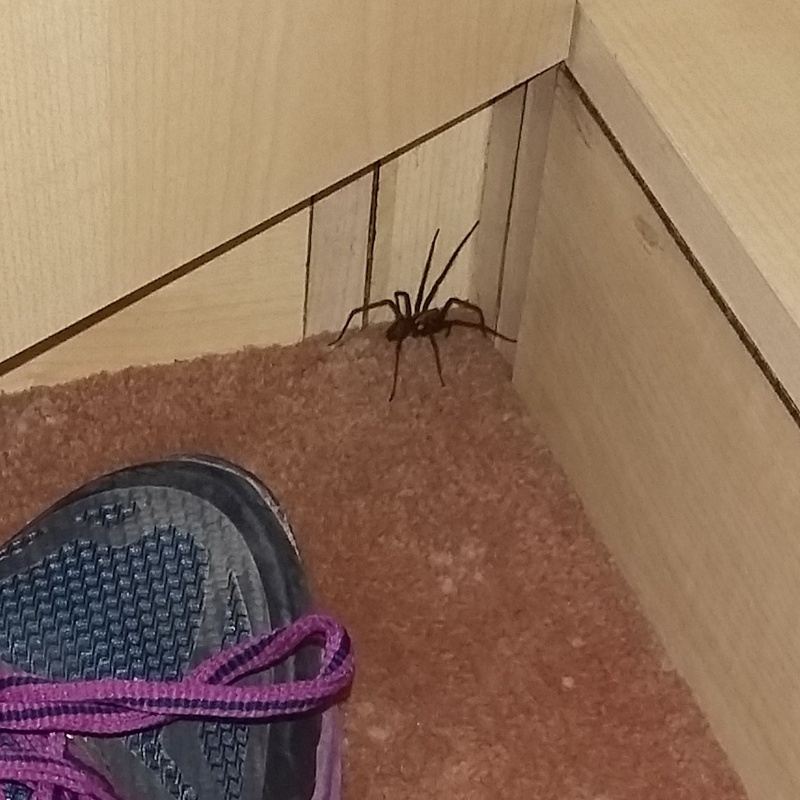 I’ve tried getting attention on Facebook with alarming status’ so I can at least interact with a humans but, the rest of the world apart from one or two are asleep so it’s me, Storm Katie and the spider, who I’ve named Toto for the night. So far and I’ve no idea how we haven’t lost the wifi or the power but, I have an emergency bag of essentials I made up including a head torch, candles, car key, waterproofs and welly boots and I’m about to go and get the half bottle of red wine left over from last night. 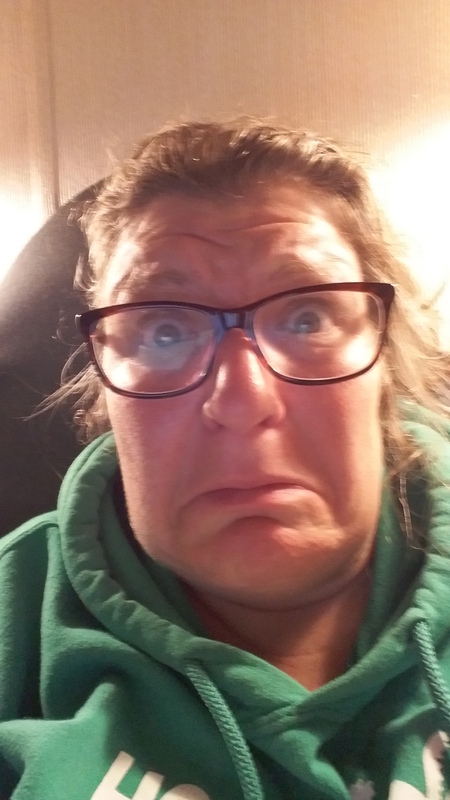 How am I going to cope alone in a tent for 6 weeks in summer if a storm while I’m in a caravan has scared me this much? Oh heck. Stay safe! And there is nothing like sharing a home with some animals is there? Some I have to draw the line at though…they end up being caught and chucked outside. That is one long storm!! !